So this month, I decided to define a few common automotive terms and explain how the parts work. An automotive charging system is made up of three major components: the battery, the voltage regulator and the alternator. The main function of the alternator is to convert power from the gasoline engine to electrical energy that recharges the battery when the engine is running and works with the battery to generate power for the electrical components of a vehicle, like the interior and exterior lights, and the instrument panel. An alternator gets its name from the term alternating current (AC). 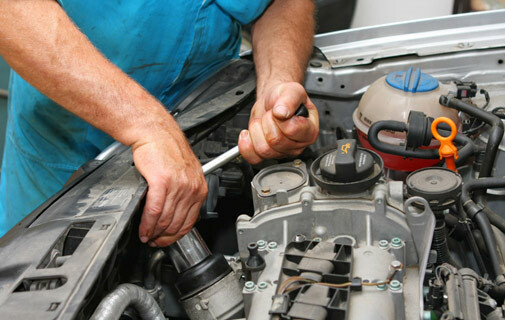 Alternators have moving parts, get dirty and are subject to stress from heat and cold. As a result, the internal parts gradually wear out. A failing alternator will kill your vehicle’s battery. You can tell if your alternator is wearing out because it usually makes a loud grinding noise. Older vehicles with generators tend to require much more maintenance than newer models, but there’s no hard and fast rule for how long an alternator will last. Ball joints are a part of your vehicle’s suspension that connects the steering knuckles to the control arms. A ball joint is essentially a flexible ball and socket that allows the suspension to move and the wheels to steer at the same time. Like any other suspension component, ball joints eventually wear and become loose, which can affect wheel alignment and tyre wear. Loose joints can also cause a “clunking” sound when hitting a bump. If a ball joint fails, the suspension can collapse causing a loss of control. It’s recommended to check the vehicle’s chassis at a service centre on a lift at least once a year to discover potential problems with suspension, brakes and other components. A drive belt, also known as a serpentine belt is used to drive other components in your car engine, such as the alternator, water pump, power steering pump and air conditioner compressor. Over time, the drive belt stretches. To compensate for this there is a belt tensioner that keeps the drive belt tight. A drive belt is made from very flexible and durable material, but it still wears over time. On average, a drive belt can last three to four years, however, improper tension, excessive heat, engine oil leaks and pieces of debris stuck between the belt ribs can cause the belt to wear faster. A worn out belt may cause a squeaking or whistling noise and a badly worn out belt can break, in which case all the accessories driven by the belt — and the vehicle — will stop. A head gasket is installed between the cylinder head and the engine block. It seals the combustion chambers as well as the oil and coolant passages that run between the engine block and cylinder head. Many of you I’m sure have heard the term, “blown gasket.” A blown gasket is often caused by overheating when the engine is low on coolant or when the radiator fans don’t work. A new head gasket itself is not very expensive, however many other parts like cam seals, valve cover gasket, and intake gaskets often need to be replaced too. Hopefully, with this little bit of knowledge, you will better understand your vehicle and issues that may arise.